I get flooded with questions on a regular basis because of working at a metaphysical store. Ranging anywhere from “what is that?” to “I have an attachment, how do I get rid of it?” and my favorite, “do you have any dead animals for sale?” I thought I would take the time to answer some common questions on a larger platform rather than individually. I feel sometimes sharing knowledge helps those who don’t know to ask or they have so many questions, they don’t know where to begin. Each week, I am going to tackle a couple questions and allow people to get the answers they seek without feeling pressured. 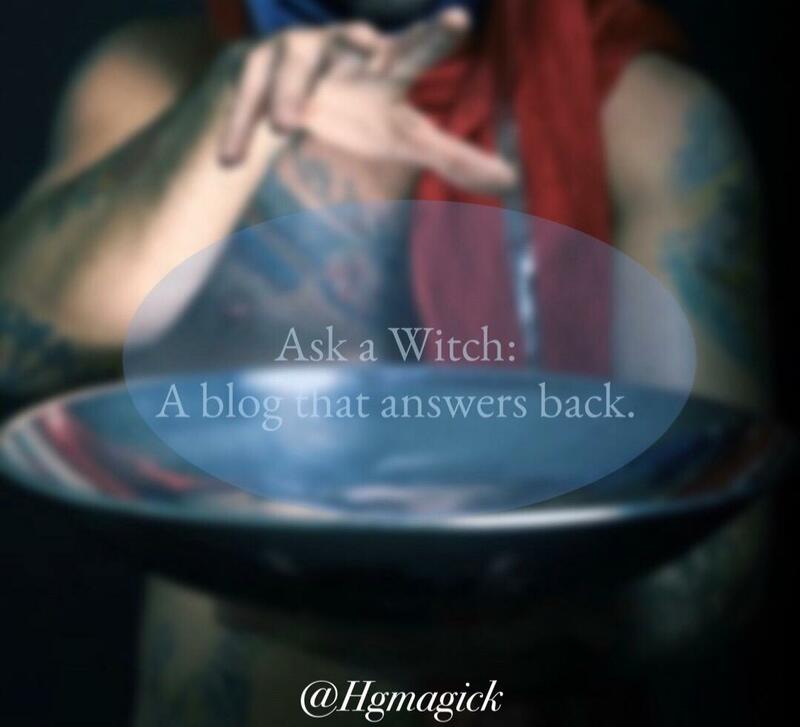 If you have any questions, you can send me an e-mail or shoot me a message on social media and I will answer your question in a blog anonymously. 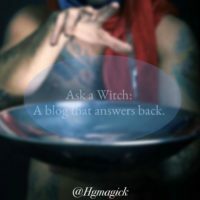 What is your opinion on using cannabis in witchcraft and getting closer to your deities? 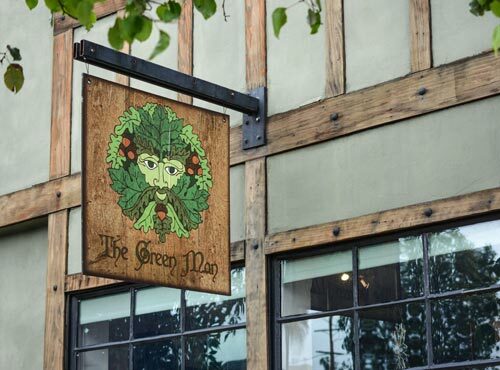 This is a subject worth covering for a number of reasons: one being that recreational marijuana is now legal here in California; also because there are a lot of sources that cite using various mind-altering herbs in order to connect with spirits. Some of the information can be a little cryptic and even sometimes harmful because I feel sometimes not enough preface is given. So here’s my take on the question. In my personal practice I do not use marijuana to connect with my spirits. First, having grown up in a house with a smoker I have sensitivity to smoke. I also don’t much like the scent of it as well. Second, I have spent a long while building my relationship with spirits over my practice and so I don’t feel the need to use herbs that basically speed up the process. Now that being said, I do recommend to other practitioners to use “less potent” herbs that produce a similar effect. As the old ones believed, you need to foster a relationship with the spirits of plants. I too feel the same and suggest to folks they try “friendlier” plants before going for big mamma. I understand that for some the need to use certain herbs and things in order to help step aside from their mundane life is necessary. Just as for some having a drink is a good way to relax and boost some confidence, certain substances such as cannabis are used similarly. If you feel that you need that extra bit of help, then I don’t feel it’s wrong to do so. I do however feel that it should be used as training wheels to help yourself build the inner confidence to do without. Many people fall into the clutches of various herbal allies and become dependent. Always do your research on herbal products and make sure you are getting the best quality you can. Also, remember that there are a number of different ways in which you can use various plants in order to gain their help. Smoking or drinking teas are just two ways, but you can also carry the herbs in a bag with you and smell them on occasion. I would not recommend ingesting certain herbs as each person is unique and there are inherent risks involved. The goal is to connect with the spirit of the plant rather than the physical. After all, you are looking to use the plant to connect with spirits that are ethereal not physical. Within my own practice I always give thanks and show the upmost respect to plants, and I consider the use of them a sacred act. I aim to not deviate from that mentality and step into the realm of pleasure and comfort for myself. With that said, make sure you have clear intentions of what you wish to achieve so that you have a positive and productive experience. Many different traditions use various herbs and things to produce an altered state. This practice goes back to the ancients and moves all the way into modern times. These traditions that are built around relationship with plant spirits are necessary to look at in order to understand the why and how of mind-altering herbs. In the old ways, plants and animals were integral to survival. The tribe had to foster a positive relationship with these forces in order to have a harmonious and fruitful life. Young children were often given small seeds to tend to and nurture. It was a lesson in spirit connection for them. Some believed that in order to reap the full benefits of a particular herb and to learn its secrets one had to almost become one with the herb. Some tribes would ingest the herb in various forms in order to take on the herb and meld it with their spirit. Often medicine men and women would lead a solitary vision quest where one would have an encounter with the spirit of a particular plant that was considered sacred. There is also the idea that certain plants are sacred to certain deities. Therefore, I feel that if your intention is to share the essence of marijuana to connect with your spirits, I would check to see if in fact your God or Goddess actually would like that to be used. This belief is held with many traditions across the world including Native and Central American Shamanism.